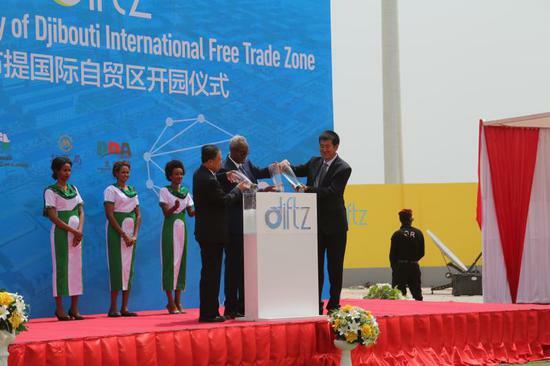 The China-built International Free Trade Zone (DIFTZ) in Djibouti was inaugurated last week in the presence of several African heads of state. The $370-million project consists of three functional blocks located close to all of Djibouti’s major ports, and the pilot zone will have four industrial clusters, focusing on trade and logistics, export processing and business support, reported the Chinese news agency Xinhua. Estimated to handle over 7 billion dollars’ worth of trade in the next two years, the Free Trade Zone will house manufacturing, warehouse facilities, an export processing area and service centers that will create over 15,000 job opportunities, the Secretariat of the Intergovernmental Authority on Development (IGAD) noted in the statement. 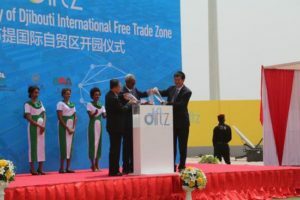 President Ismael Omar Guelleh of Djibouti stated during the launch that the Free Trade Zone is a place of hope for thousands of young job seekers. The importance of this Free Trade Zone extends beyond the IGAD region to the rest of the African continent, as was well articulated by President Paul Kagame of Rwanda, who noted that it will not only serve Djibouti but wider regions of the continent, Xinhua added. This was also echoed by the Prime Minister of Ethiopia and chair of IGAD, Abiy Ahmed; the President of Somalia, Mohamed Abdullahi Mohamed; the President of Sudan, Omar Al Bashir, and the Chairperson of the AU Commission, Moussa Faki Mahamat, who had all attended the inauguration ceremony. “The IGAD Secretariat is proud of this important milestone in regional integration and associates with it as it contributes towards the realization of the aspirations of the ongoing discussions on the IGAD free movement protocol and the African Continental Free Trade Area (AfCFTA),” said the East African bloc. “This is a clear demonstration of regional economic integration that the member states have been working towards,” IGAD added. Posted by Geraldine Boechat on July 12, 2018. Filed under Business, News, Zoom. You can follow any responses to this entry through the RSS 2.0. Both comments and pings are currently closed.